Died: 4th June 1915; Age 22; KiA. 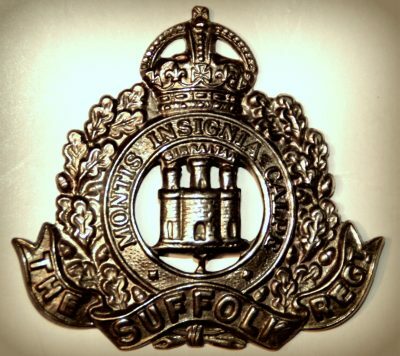 Regiment; Suffolk Regiment, 4th Battalion. Relatives Notified & Address: Son of Arthur & Amelia Ruth Arnott, of 114, New Cut West, Stoke, Ipswich. 1901 New Cut West, Ipswich. Ernest was 7 years old and living with his parents & brothers. Arthur Edwin Arnott, age 34, a Town Postman, born Hackney, London. Amelia Ruth Arnott (nee Finch), age 34, born Ipswich. Herbert Arthur Arnott, age 9, born Ipswich. Charles Henry Arnott, age 4, born Ipswich. Percy Victor Arnott, age 2, born Ipswich. 1911 114, New Cut, West Stoke, Ipswich. Ernest was 18 years old, a Woodworker – Car Fitting Joiner. He was living with his parents & brothers. Arthur, 46, a Town Postman. Herbert, 19, a Woodworker – Car Fitting Joiner. Charles, 15, a Woodworker – Car Fitting Joiner. Ernest is also remembered on the war memorial at St. Peter’s Church and Dance East, Jerwood Dancehouse, Ipswich. Formerly Cranfield’s Flour Mill. 1 Pings/Trackbacks for "EDWARD ERNEST E. ARNOTT"